What Is the Purpose of a Wireless Router? 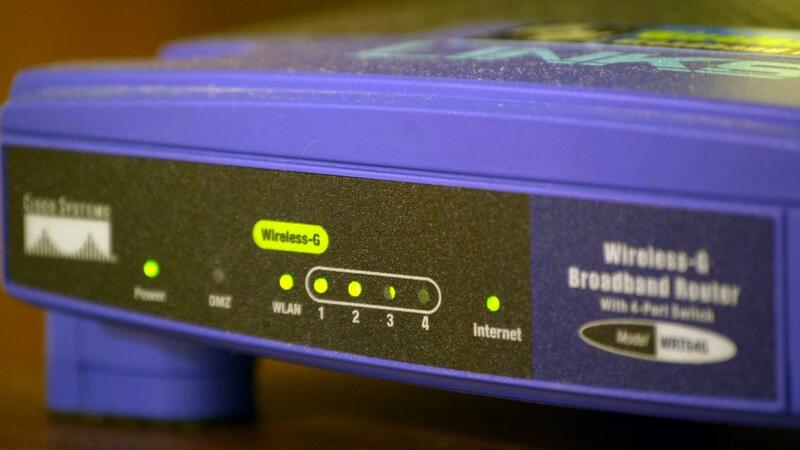 The purpose of a wireless router is to transfer data wirelessly from one location to another. The router is used to secure networks and to connect different devices to the Internet. Wireless routers connect to a LAN, or local area network, without the need of Ethernet cords. Devices such as laptops, tablets, video game consoles and televisions integrate Wi-Fi technology, which uses a wireless connection instead of a wired connection. Wireless routers offer the convenience of a cordless connection and the ability to connect to a network or to the Internet from anywhere in the immediate distance of the router. The wireless router improves accessibility and enhances the ability to surf the Internet. Wireless routers also incorporate built-in firewalls, which help defend the Internet connection from intruders. The configuration of the router and the different firewall options help protect user information when surfing the web or buying and selling online. Wireless routers offer added convenience and are helpful for both privacy and security purposes. Wireless routers also support several distinct technologies used to enhance the external and internal performance of a network. Some routers enable the attachment of multiple external hard drives, which serve as a backup drive or a network storage drive. What Is the Purpose of a Computer Network? How Do You Get Wi-Fi for Your Home? How Do You Password Protect Your Home Wi-Fi? How Do You Set up a Verizon Wireless Router? How Do You Find the SSID Number on a Router? How Do You Set up Wi-Fi in Your Home?